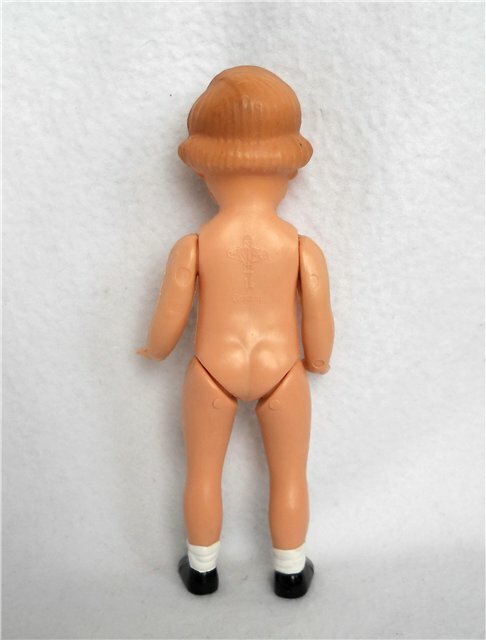 Vintage dolls with marking on the back of “PLASTICBABY” are in every doll collection. 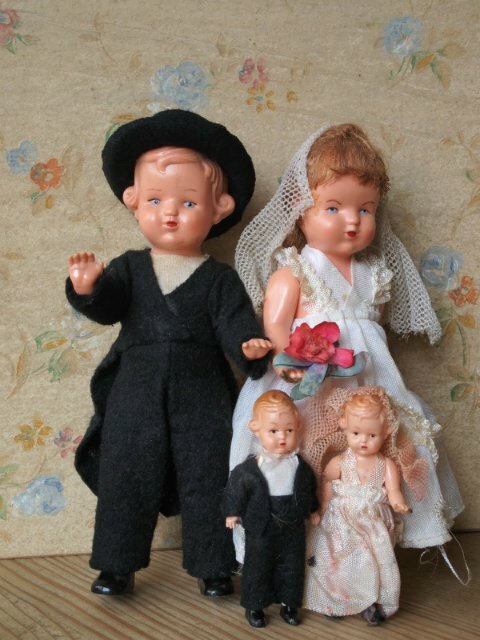 Lovers of vintage dolls will not confuse these dolls with others. There are three dolls of this brand in my collection now. I am very happy about that. A few facts about the history of the company for fans of these dolls. 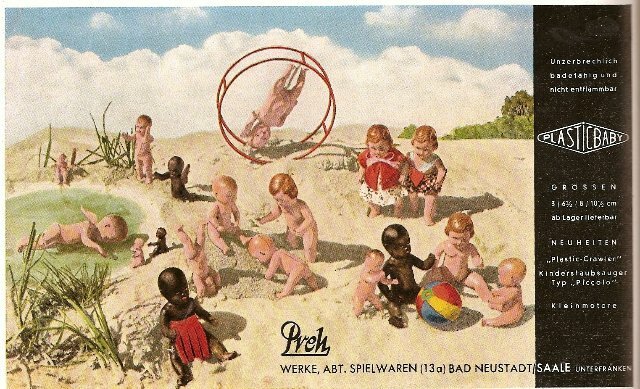 The company Preh-Werke of Bad Neustadt / Saale was the first who began to produce plastic toys after the war in 1949 and produced them for only one decade, until 1959. In 1919 Jakob Preh founded the company and until his death, in the 45th the company was engaged in the production of electronic components. In 1945 it would have been killed and production suspended until 1948. 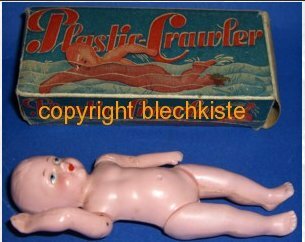 In 1948, the family was able to return the property and the new Director of Walter Preh decided to produce plastic toys. The first toy products of the company were electrically driven cars. In 1949 it was mentioned in Spiegel. On the Preh-Werke website preh.com very little information-it is said only that in 1949 the company began production of toys from polystyrene, mainly remote-controlled cars and dolls. But their dolls have become so popular with collectors. 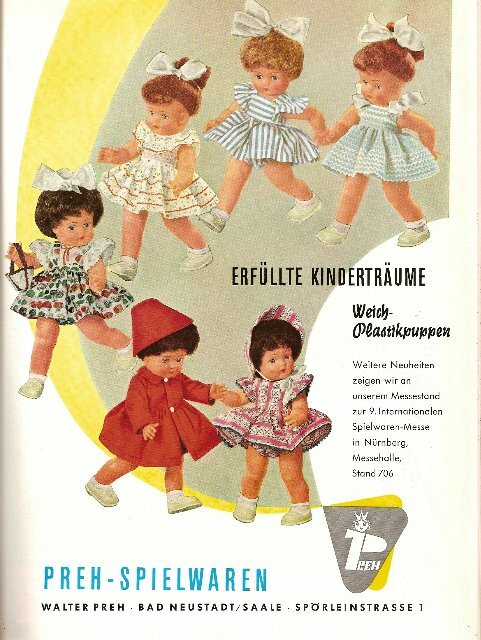 The first samples of dolls can be seen on the advertising poster of 1950, the company produced plastic dolls of different types and in different sizes, mainly– 3, 6.5, 8, 9.5, 10.5,14 cm. Hair the dolls were made in the form of a wig or relief. Like many other manufacturers, these dolls were often dressed in national costumes of the different States of Germany and other countries. 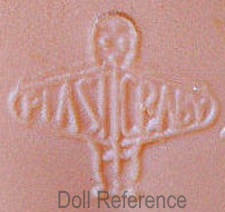 The logo was an angel with the inscription “PLASTICBABY” stretched on his side in the wings, like this. On my three dolls, this brand name is very clearly visible. 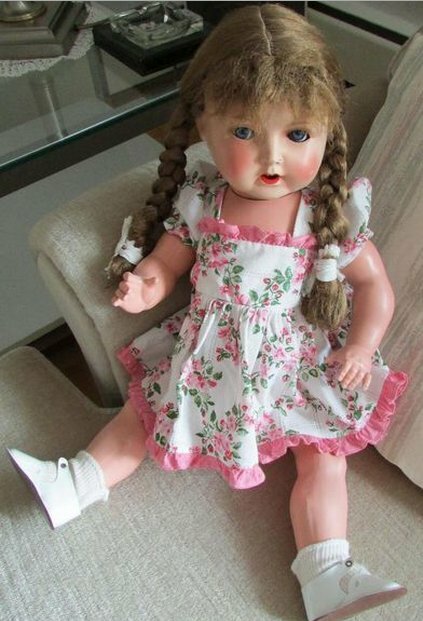 Preh-Werke also produced quite large dolls with sleeping eyes. They were 46 and 56 cm in size. Thanks to the sources there were these photos, they give the opportunity to see dolls and other toys. This doll now lives in my collection. She has 14 cm – 5 inches.